European truck range (9) - CTM - CZECH TRUCK MODEL, s.r.o. European truck range There are 63 products. 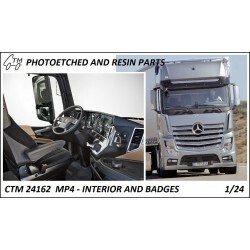 A painted interior and exterior badge for 1/24 Actros MP4 Gigaspace kit. 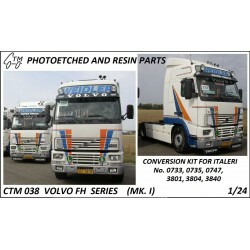 Italeri Volvo FH Mk.I detail set. 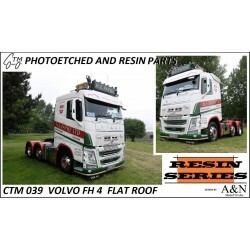 Contains polyurethane covered badges and HP ratings for FH12 and FH16 models, dashboard, cab interior and exterior details and the major frame details such as the main catwalk and the rear frame cross member. 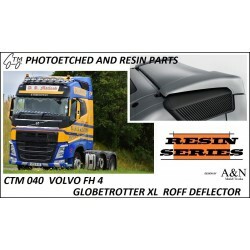 A single piece high quality resin roof deflector for Italeri Volvo FH4 (3940). 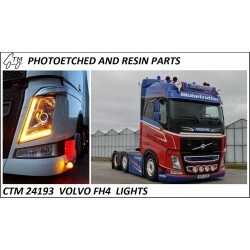 A set of light lenses for Italeri Volvo FH4. A sample photo only, shown without lenses applied! 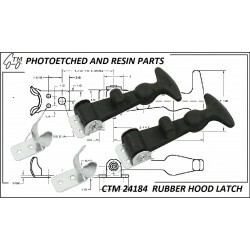 Tail lights, head lights, fog lights, side marker lights and roof marker lights.